West Midlands MEP James Carver has reacted with fury at a “gas chamber’ quip by a Labour activist at their party’s conference. 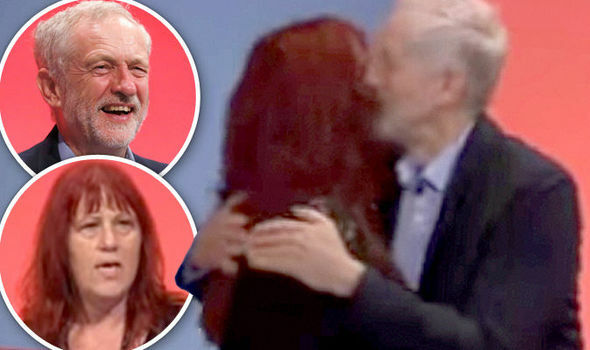 “In my book what she said was disgusting and for their leader Jeremy Corbyn to then hug her is rubbing salt in the wound. He should be expelling her not hugging her,” he said. Sioux Blair-Jordan, from Colchester Labour Party, said that disabled people in Britain ‘need the European Union to uphold our human rights", adding that if the Conservatives bring in a UK alternative to the European Convention on Human Rights then "we might as well walk into the gas chamber today’. Mr Carver, UKIP Euro-MP, said her reference to gas chambers was “offensive and totally inappropriate. “We are all too well aware of the millions who lost their lives in gas chambers during the Holocaust and her remarks have rightly angered their relatives and all self-respecting people,” he said. A LABOUR member today sparked fury after claiming disabled people might as well "walk into the gas chamber" if the Government pushes ahead with scrapping European human rights law. Labour is Fast becoming a Mad Hatters Tea Party.Even its supporters should be realising this. ?????? perhaps we shouldn't mention the word 'war' then!